“This release of 11.25.0 represents more then a full year’s worth of collaborative effort. The changes, updates, and features are too numerous to list in a single post and we want to make you aware of some very valuable resources related to this release.”, said Mario Rodriguez, Strategic Partner Manager at cPanel, Inc. announcing the release of cPanel 11.25.0 in the company’s LinkedIn profile. What’s new in the site owners’ most appreciated web hosting management software? “In version 11.25.0 more that 50% more of the code base was touched in comparison to 11.24. While the version has only incrementally moved up .1, this is considered a “Major” release. We fully expect this to be a relatively trouble free update and are completely convinced that 11.25.0 once again sets the bar for a quality release. With cPanel 11.25.0 we continue the tradition of providing comprehensive product release notes”, also adds Mr. Rodriguez. 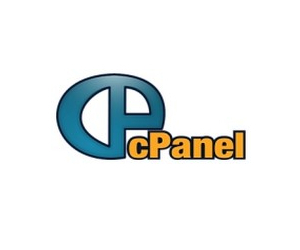 To cchek the recommended cPanel 11.25 security settings open PDF file from the company’s website – http://docs.cpanel.net/twiki/pub/All…d_settings.pdf. The branding package CSS usage changes are available here – http://docs.cpanel.net/twiki/pub/All…_css_usage.pdf. If you want to join cPanel’s group at LinkedIn please follow this uerl – http://www.linkedin.com/groups?home=&gid=2124565. Do not mist the company’s forums – http://forums.cpanel.net.